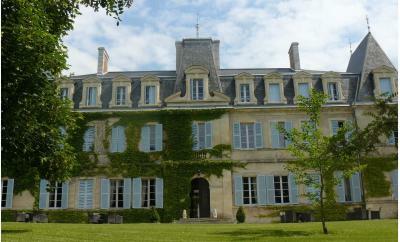 Lock in a great price for Chateau de Lalande - Les Collectionneurs – rated 9.3 by recent guests! A lovely chateau with a nice pool and very comfortable rooms. Helpful staff and a good restaurant. Peaceful and relaxed. Our junior suite was large and elegantly appointed. WiFi and A/C worked. Very charming old place. Had an excellent multi-course dinner on the patio. beautiful grounds. Plenty of free parking on the property. From the moment we arrived very early Catherine was the perfect host, our room which was upgraded wasn’t ready so she gave us towels and we spent the afternoon lying in the sun by the pool. The Chateau is beautiful, spotlessly clean and filled with gorgeous furniture. Our room was spacious and clean. Dinner in the evening was lovely. We loved that we had the choice of having breakfast inside or outside in the glorious morning sunshine, in the most fantastic surroundings. Also for the evening meal. 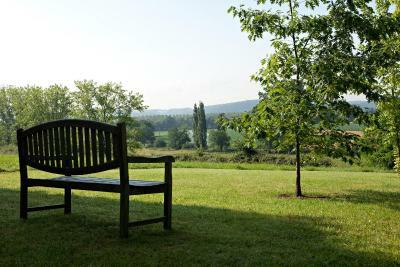 The grounds are stunning and tranquil, making this a very relaxing holiday break. The staff are very friendly and speak several languages, so helpful... We had a fantastic time. It was a lovely chateau, full of charm and character. 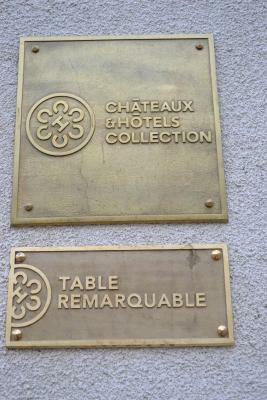 The whole experience of staying in the Chateau. Good food, lovely rooms and a wonderful pool . Loved the location, the quality and excellence of the food and the hotel itself is just stunning! Loved everything. We had the best time at this beautiful place. Super service, everxone was so kind and friendly. We will definitely come back. Thanks again! 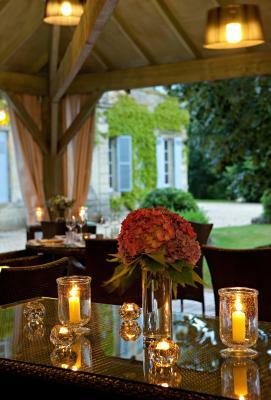 The Chateau De Lalande is a traditional hotel in elegant surroundings, 7.5 miles from Périgueux. It offers an outdoor pool, free Wi-Fi and large, peaceful grounds. 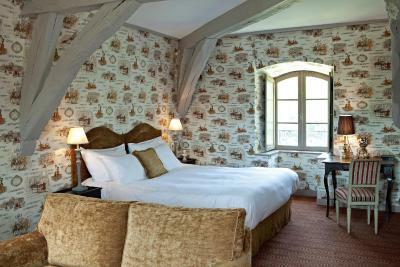 Guest rooms at the Chateau De Lalande are air conditioned. They include private bathrooms, a flat-screen TV, telephone and safe. 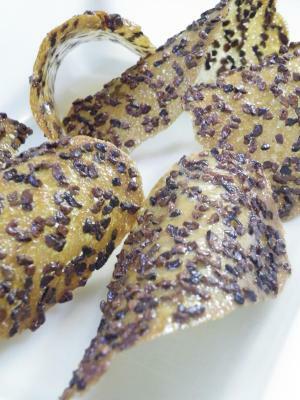 The restaurant serves gourmet cuisine. 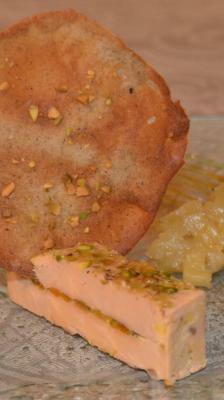 This can be enjoyed on the covered terrace in nice weather. Additional facilities include a library, a comfortable lounge and bike rental. 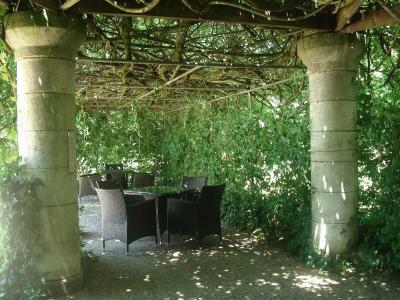 Chateau De Lalande is just 1 hour from the popular town of Sarlat and the wine region of Saint-Emilion. 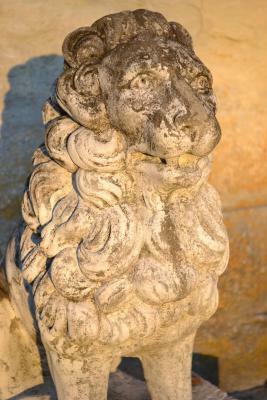 It is a good base to explore the beautiful Dordogne region. This property also has one of the top-rated locations in Annesse-et-Beaulieu! Guests are happier about it compared to other properties in the area. This property is also rated for the best value in Annesse-et-Beaulieu! Guests are getting more for their money when compared to other properties in this city. 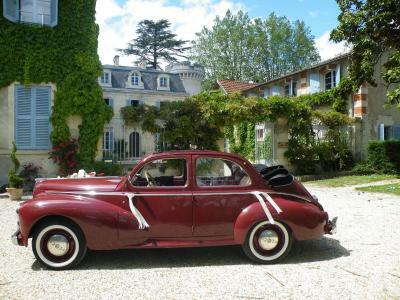 When would you like to stay at Chateau de Lalande - Les Collectionneurs? This room has a flat-screen TV and free Wi-Fi. The private bathroom is designed in a retro style and includes a hairdryer. 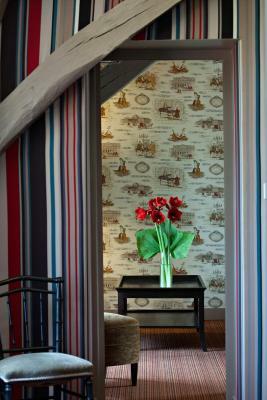 It has a park view and walls decorated in Toile de Jouy. This 1-bedroom suite includes a flat-screen TV and free Wi-Fi. The private bathroom is designed in a retro style and includes a hairdryer and a hydro massage shower. 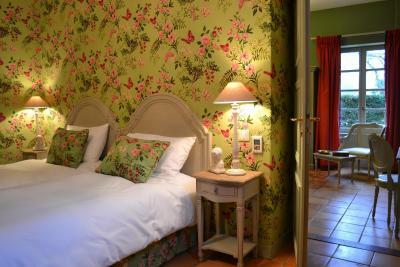 It has a park view and the walls are decorated in Toile de Jouy. This 1-bedroom suite includes a flat-screen TV and free Wi-Fi. The private bathroom is designed in a retro style and includes a hairdryer and a hydro massage shower and a bathtub. It has a park view. This suite includes 2 rooms, a flat-screen TV and free Wi-Fi. The private bathroom is designed in a retro style and includes a hairdryer. House Rules Chateau de Lalande - Les Collectionneurs takes special requests – add in the next step! Chateau de Lalande - Les Collectionneurs accepts these cards and reserves the right to temporarily hold an amount prior to arrival. Please note that for bookings of more than 3 rooms or from 8 people, different conditions may apply. The property will contact you after you have booked. We booked this chateau extremely last minute due to a problem with another hotel booking so we literally gave them an hour or so before we arrived! This was not a problem at all, even with a young child. We were met with the warmest of welcomes which really made up for our bad experience elsewhere. The chateau itself is absolutely stunning, very peaceful in a rural setting, but easily accessible by road. It has some lovely gardens to walk around (even a swing), and a lovely pool which our daughter took a dip in before dinner to cool off. The chateau does serve dinner here, but as our booking was last minute they were fully booked (so do reserve a table), the owner was very apologetic and I could see she really wanted to try and fit us in, but we were happy to drive a few miles away to a nearby town Saint-Astier where we found a lovely local pizza place which our daughter was very happy about. The room itself, we booked a suite which had a very large double bed (I mean you could lose your partner in it!) which was extremely comfortable, and 2 single beds in a separate room, which was actually in the tower! There were two bathrooms, one with a shower and the other a bath, both with toilets etc. The decor was beautiful, very swish and super clean. It really was pure luxury. We didn't want to to leave! Breakfast was also very good, lots of choice and all very tasty. You could opt to sit in or outside which was nice. Things to be aware of to check though is I don't think they have a lift and wheelchair/heavy suitcase access could be tricky with lots of gravel driveway, but you can drive up close to the entrance. I would highly imagine if you had any concerns the owners would go out of their way to help you though. All in all we will most definitely stay here again if in the area. I cannot recommend this place enough. It goes beyond home from home, it has surpassed anywhere else we have ever stayed. Top marks! Surrounding park is a little unkempt but once you arrive, all is charming and well maintained. Don’t be put off by the rather dark reception area and stairs - the rest of the chateau is light and airy. Very good restaurant and elegant surroundings. Owners and staff are efficient, friendly and hardworking. Breakfast buffet is perfect! 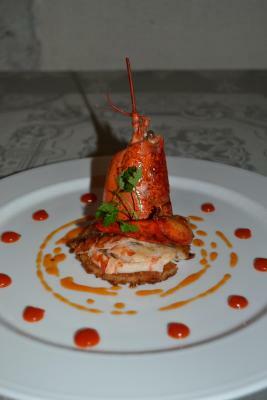 Staff were very friendly and helpful, food was delicious and service was first class. I would recommend anyone to stay as I could not fault anything. Can’t wait to go back. I travel a lot and chateau le lande is at the top of my favourites list. Not sure what else I can say beyond my straight 10 rating. From our reception greeting by the owner and staff, to our impeccably clean and comfortable rooms, to the gorgeous salon for drinks, to the perfect breakfast layout and elegant dining room, every detail was looked after and beautifully presented. Go visit Catherine and Yves. You will not be disappointed. Good evening meal though the menu wasn't large enough for such a stunning dining room. Welcome drink on arrival would be a nice touch. Tea or coffee in rooms would also be nice. 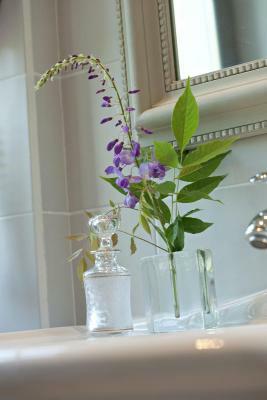 Fantastic location, safe car parking and beautiful rooms. Very nice hosts and fantastic breakfast. English well spoken. Amazing place! Very welcoming. Beautiful rooms and great decor. Very relaxing stay! Beautifully renovated chateau with so much attention to detail Our ground floor room was large, comfortable, impeccably clean and tastefully decorated. The common rooms were comfortable and lovely for a pre-dinner or after dinner drink. One afternoon we enjoyed a tea in the back garden. It was too cool to use the pool, but the site would a great place to spend a warm summer afternoon. We ate in the dining room both evenings. 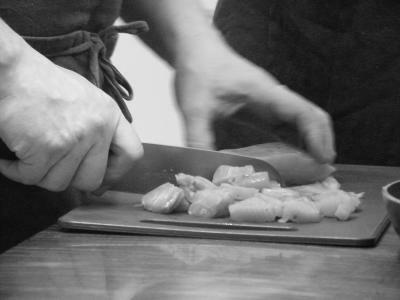 The owner is the chef with an inventive menu and worthy of a Michelin star.